I am a Nutrition Consultant. I help people who want to take their health to another level, using food as medicine to support them with the health challenges that they are facing. I am a detective for my clients, (call me Sherlock Sheila) trying to get to the root cause. I love what I do, and a lot of my work is focused around changing day to day habits and behaviors, because it is about what we do everyday, and how we do it. And like all my clients, I am on my own health journey. Recently I gave a name to a chair in my house. I call it my Mindfulness Chair. 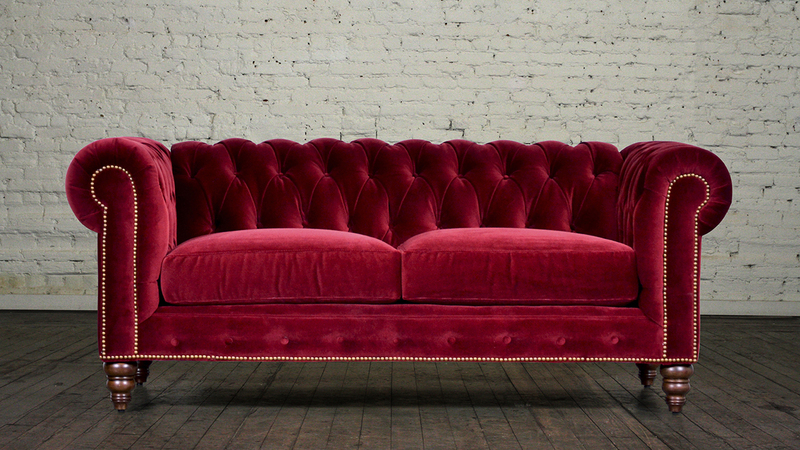 Its a pretty red velvet chair that a friend gave me, I believe its first home was in a beauty salon. It’s positioned next to a window, and outside are some beautiful tropical plants that the hummingbirds frequent. There is not a table in front of the chair, so I can’t place my computer, newspaper or book in front of me when I sit here. I also cannot see the TV from my chair. 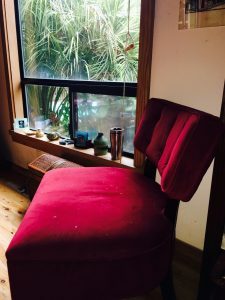 My mindfulness chair is my new place to eat my meals when I am not eating with the family. I understand the importance of eating mindfully, but like many I struggle to always make it a habit. I understand the science behind eating mindfully and not multitasking while doing so. I know that if I am calm and pay attention to the food that I am eating, my digestion is improved, (it’s all about that parasympathetic mode). When I sit in my mindfulness chair I chew my food more, I savor the taste and enjoy the meal that I prepared. I know that my being calm and focusing on the meal in front of me, I am more aware of the signals my body gives me when it is full and has had enough, rather than overeating. I also know that to truly know something, is to do it and to practice it. I challenge you to find that sweet spot in your living space that is for you and your meal. A place that allows you to just eat, and enjoy the food that you prepared. To honor all that went into it, from the farm to the table, and to let the meal really nourish you, not to mention, for you to be present to enjoy and savor it. Eat mindfully, one bite at a time, honoring time and place.